Regular readers of Financial Regulation Matters will know that, in 2015, Standard & Poor’s was fined a record $1.375 billion for its role in the Financial Crisis, and in early 2017 Moody’s was fined $864 million for the same offences. Although the two leading agencies of the rating agency oligopoly were never in any great danger because of these financial penalties, they did cause damage to their financial position. Recently, however, a massive development has taken place which may see their fortunes irrevocably increased. As part of China’s attempts to open up its marketplace to the world, long-held restrictions on foreign businesses within the Chinese jurisdiction have been relaxed so that now the agencies can set up independent entities within the country, as opposed to the previous regime whereby they could only hold minority stakes in joint ventures with Chinese companies. This has a massive potential for the agencies, who can now establish a massive foothold in such a lucrative marketplace. The question is, what may be the effect of this development, both for the agencies but also for China? The rating agencies have been keen to add to the narrative that new rules developed by the National Association of Financial Market Institutional Investors (NAFMII) ‘will facilitate bond market development’. One of the clearest reasons for the permitting of foreign rating agencies on Chinese soil is that, as suggested in the Financial Times, ‘ratings from local agencies are widely viewed with suspicion’, which is an element that would be completely removed from the equation with the establishing of a foothold in the country by the leading rating agencies. It has been noted that although China’s bond market is the third-largest ($9.7-11 trillion), foreign investment pales in comparison. This is a fantastic development for the agencies, as the need to coax foreign investment into the country fundamentally emboldens their position and importance to the Chinese. So it is no surprise that the leading rating agencies have been drafted in to help increase that foreign investment, but there are potential issues with this arrangement. The first issue is that China’s attempts to counter the influence of foreign rating agencies, in establishing its own ‘credit rating architecture’, have potentially been obliterated on account of the greater need of foreign investment. It is likely that the ‘One Belt One Road’ initiative is a key factor in taking this decision, but the effect still stands that the dominant Chinese rating agencies, such as Dagong, will now be put in a precarious position having to jostle with these oligopolistic leaders in their own jurisdiction. The second issue is the danger in allowing the rating agencies, who lest we forget have just received record fines for their performance and organisational behaviour, into their oft-protected jurisdiction. China has, primarily since the era of Deng Xiaoping, been open to the limited inclusion of foreign business, and different administrations since have been keen to maintain that same stance. Now, however, President Xi Jinping appears to be confident that he can loosen those restrictions in order to provide the financial basis for his generation-defining initiative – the question is whether this risk is worth it. It is without doubt that Xi Jinping’s authority has been greatly strengthened by the recent consolidation of his position, but there is perhaps a need to suggest that Deng Xiaoping’s cautionary advancement into the globalised world should not be abandoned just yet. 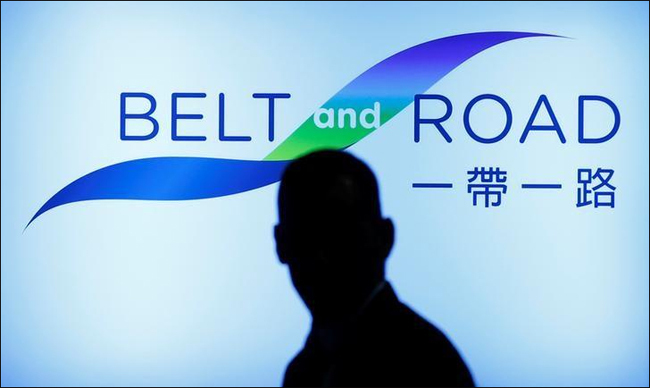 Yes the One Belt One Road initiative is important, but is the country ready to risk being overly exposed to the iniquities of the Western financial realm? Perhaps there are many answers to that question, but one thing is for sure: China has just increased its risk profile considerably for the attainment of its cherished initiative.